Lutsenko said that the ambassador had given him a do not prosecute list. 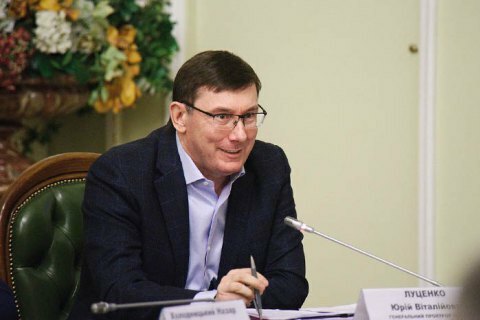 Ukrainian Prosecutor General Yuriy Lutsenko told Hill.TV's John Solomon in an interview that aired Wednesday that US Ambassador to Ukraine Marie Yovanovitch gave him a do not prosecute list during their first meeting, according to The Hill website. “Unfortunately, from the first meeting with the US ambassador in Kiev, [Yovanovitch] gave me a list of people whom we should not prosecute,” Lutsenko, who took his post in 2016, told Hill.TV last week. The State Department called Lutsenko's claim of receiving a do not prosecute list, "an outright fabrication". Hill.TV has reached out to the US Embassy in Ukraine for comment. Lutsenko also said that he has not received funds amounting to nearly $4 million that the US Embassy in Ukraine was supposed to allocate to his office, saying that "the situation was actually rather strange" and pointing to the fact that the funds were designated, but "never received". “At that time, we had a case for the embezzlement of the US government technical assistance worth 4 million US dollars, and in that regard, we had this dialogue,” he said. "At that time, [Yovanovitch] thought that our interviews of Ukrainian citizens, of Ukrainian civil servants, who were frequent visitors of the US Embassy put a shadow on that anti-corruption policy." “Actually, we got the letter from the US Embassy, from the ambassador, that the money that we are speaking about [was] under full control of the US Embassy, and that the U.S. Embassy did not require our legal assessment of these facts," he said. "The situation was actually rather strange because the funds we are talking about were designated for the prosecutor general's office also and we told [them] we have never seen those, and the US Embassy replied there was no problem."